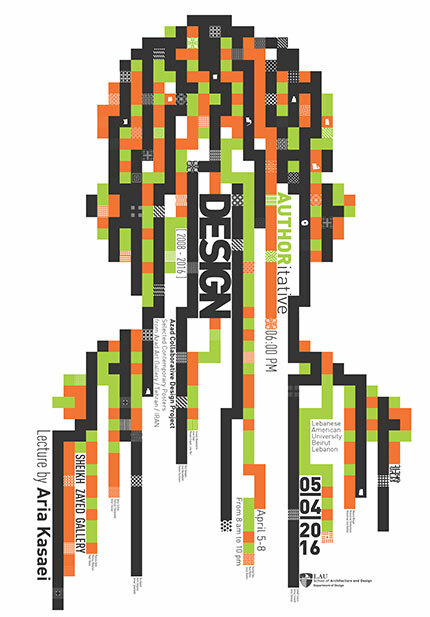 The Department of Design is hosting a talk titled “Authoritative Design: Contemporary Iranian Posters” presented by Aria Kasaei and followed by the opening of an exhibition featuring 100 contemporary Iranian posters between 2008 and 2016. Kasaei is a graphic designer and co-founder of StudioKargah in Tehran, where he lives and works. Kasaei has exhibited his work in Iran and internationally. He is an active contributor to the Dabireh Collective and Tandis Bi-weekly magazine. Kasaei has curated graphic design exhibitions such as Azad Art Gallery’s Graphic Design Project in Tehran in 2009 and Posters from Iran in Copenhagen, Denmark in 2011. The exhibition will be open till April 8 from 10 a.m. till 7 p.m.